During the first week of January 2019, Chinese Foreign Affairs Minister Wang Yi inaugurated an African tour and traveled to Ethiopia, Burkina Faso, Gambia and Senegal. This tour confirms China’s growing interest in the African continent. The Chinese presence in Africa is criticized by some observers in Europe and the United States who are worried about China’s political influence on the continent. But Beijing’s main motivation in Africa is different. Africa is today the continent that is experiencing the strongest urban growth. The entire continent is developing, and China, with its experience in development, has the capacity to offer to African states the most appropriate solutions to support Africa’s development. Wang Yi first visited Ethiopia, one of China’s major partners, that is particularly active in the framework of the “Belt and Road” initiative. Under the previous government of Prime Minister Hailemariam Desalegn, the two states signed a comprehensive strategic cooperation agreement. Good relations between Beijing and Addis Ababa are continuing with the election of Abiy Ahmed as prime minister. During his visit to Beijing in September 2018, Abiy Ahmed stated that China was Ethiopia’s leading development partner. China and its companies have invested heavily in Ethiopia, especially in the new industrial parks that have enabled Ethiopia to become a major textile producer; garments and textile production has grown by almost 50% per year for the last five years. China is also supporting the modernization of infrastructure in the Horn of Africa. At the beginning of 2018, the railway line connecting Addis Ababa to Djibouti entered into operation. It only takes 12 hours instead of 3 days for passengers and freight to travel the 756 kilometers between these two cities thanks to the construction of this line by “China Rail Engineering Corporation” (CREC), and “China Civil Engineering Construction” Corporation “. (CCECC). These companies are also responsible for training local staff until 2023. A Chinese company is also in charge of the construction of a road linking the dry port of Modjo to the city of Hawassa. This project may be partially financed by Korean Exim Bank. 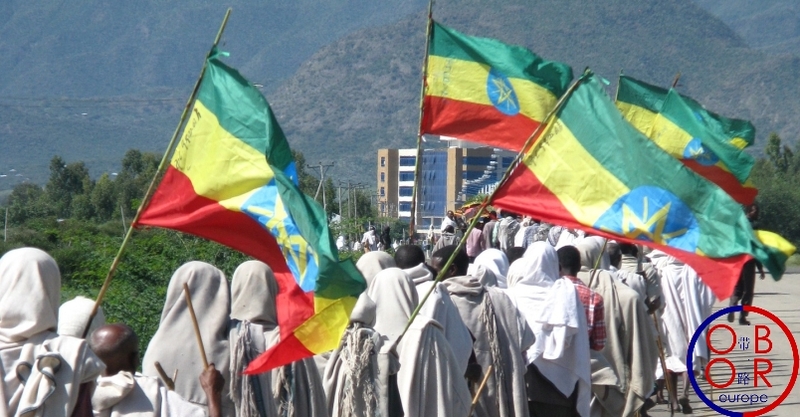 It can be assumed that this opening up and the new prosperity experienced by Ethiopia are partly responsible for the appeasement between Ethiopia and Eritrea. The two countries signed a peace agreement in September 2018. Eritrea would also like to receive more Chinese investment. Ethiopia’s development certainly benefits Chinese companies, but European companies are not excluded. There are important opportunities for cooperation between China and European Union members for development projects in Africa, particularly in Ethiopia. In late December 2018, Ethiopian Electric Power signed two contracts for the acquisition of 13 electric turbines for the Grand Ethiopian Renaissance Dam, the first one with PowerChina (for 11 turbines) and the second one with GE Hydro France (2 turbines). The French company may provide other equipment for this dam. The Renaissance dam, once completed in the coming years, will be the most powerful in the African continent. With 100 million inhabitants, and a growing industrial sector, Ethiopia faces growing energy needs, and must invest in power production to avoid power cuts. The Belt and Road initiative is expected to help Ethiopia to develop this strategic sector. During his visit to Addis Ababa, Wang YI emphasized the partnership between China and Ethiopia. New exchanges will take place between the two countries, in all sectors, particularly those of environment and space. For example, in September 2019, the first Ethiopian space satellite to be used for global warming research is expected to take off from China. After a first stop in Ethiopia, the Chinese foreign affairs minister traveled to West Africa. In Ouagadougou, Wang Yi met with his counterpart Alpha Barry and President Roch Kaboré. In May 2018, Burkina Faso embraced the “One China” policy and since then, relations between Ouagadougou and Beijing have been experiencing a new development. Wang Yi reaffirmed China’s support for G5 Sahel’s force to restore security in the region. The Chinese Foreign Minister also pledged to strengthen cooperation with Burkina Faso in the sectors of health and defense. Being a landlocked country, Burkina Faso encourages China in its connectivity projects related to the “Belt and Road” initiative and in particular to participate in the development of the trans-Saharan road linking Algiers to Lagos. Wang Yi also traveled to Gambia. Gambian President Adama Barrow said that China was his country’s most important partner. At the China Africa Summit in September 2018, Gambia signed several agreements with China related to the Belt and Road initiative. The Gambian president’s priority is to attract Chinese investment in agriculture, energy and infrastructure to accompany his country’s development. Finally, his last stop was Dakar, Senegal, where he met with President Macky Sall and foreign affairs minister Sidiki Kaba. In recent years, Senegal has become China’s main partner in French-speaking West Africa. Dakar was the first state in the region to support the Belt and Road initiative. The Senegalese president is determined to implement his strategy of the ‘Emerging Senegal Plan” which aims to modernize his country whether for health, tourism, infrastructure … A major element of this plan is the construction of the new city of Diamniadio, to reduce congestion in Dakar. The industrial park of this city was built by a Chinese company and welcomes Chinese investors. In all visited states, Wang Yi encouraged leaders to support cooperation in order to coordinate their different national policies. The Belt and Road initiative is to serve the best interests of the participating states. Wang Yi’s tour in Africa demonstrates the importance of multilateralism in China’s strategy. Share the post "Wang Yi’s first African tour in 2019"